While a sagging chin may look adorable on bulldogs, they’re a lot less charming when you see them outside the dog park — and in the mirror instead. Aside from blaming your genetics for an undefined double chin, time is the biggest culprit. A double chin can also make us look even older than we should, notes Dr. Garrett Gause, Vice President of Medical Affairs for Ideal Image. But rest assured: you don’t have to live with your lack of definition if you don’t want to. We consulted experts on the best ways to help chisel that jaw, when you temporarily want to permanently get rid of an unwanted fat bulge — and every issue in between. A weekend filled with vino and indulgent food is a weekend well-spent — but it can also result in a pooling of water retention in the lower half of the face. “There are two major lymph nodes under the jaw in the neck, and when they get congested can lead to puffiness in the area,” explains Desiree Pais, Beauty Editor at Herbivore. Gua sha — an ancient Chinese Medicine remedy that involves moving a smooth piece of material over the skin in firm strokes — “helps to boost lymphatic flow and reduce puffiness, which can help to contour the jawline area,” she explains. This pretty, pale pink Herbivore® Rose Quartz Gua Sha tool ($18), is one that you’ll want to keep sinkside at all times. 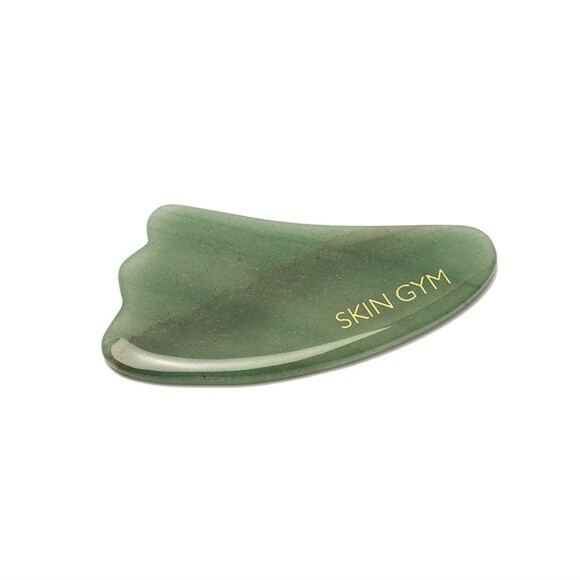 If green is more your style, consider the Jade Gua Sha Crystal Beauty Tool from Skin Gym ($32). To use it at home, grab your favorite face oil and apply a few drops to the area you want to depuff (the oil helps the tool to slide across your skin). Starting with the neck, sweep the gua sha tool with medium pressure in an upward motion to activate all that good blood flow! The divots in this particular tool allow for it to hug your jawline for a more targeted sweep, while the cool surface of the crystal adds to the depuffing factor. If nothing else, the whole process just feels great. Moreover, you can incorporate the practice into your weekly skincare ritual: “Gua sha can be used intuitively, meaning as often as someone feels is necessary,” Pais explains. For an extra punch of bloat-reducing power, try the gua sha technique over a neck cream, such as the Sisley Paris® Neck Cream ($180), which contains firming soy fiber extract to help gently tone and tighten skin. As with anything you use repeatedly on your face, you’ll want to be sure to give your gua sha tool a good sanitizing wipedown post-use (bacteria buildup could lead to blemishes). 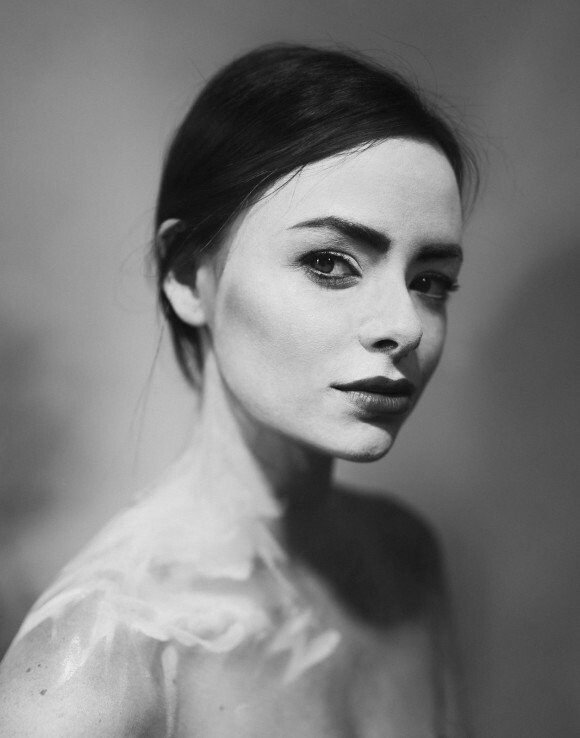 You may have heard of microcurrent facials, which have been revered for giving skin a lifted look. These days, many spas offer them. You can even give yourself a DIY treatment, thanks to at-home devices that produce the same effect. “Microcurrent works noninvasively to tone and tighten the muscles of the face,” explains Tera Peterson, co-founder of NuFace®. 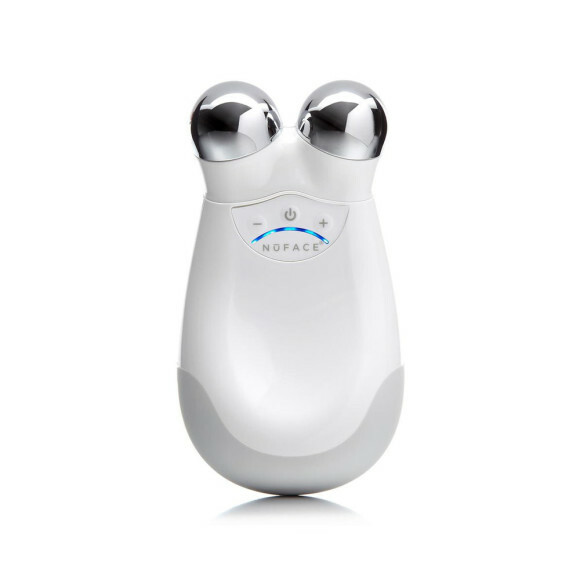 Her company’s at-home microcurrent gadget, NuFACE® Trinity Facial Toning Device ($325) delivers painless microcurrent to tighten, tone, and spur collagen and elastin production over time. (Not to mention, this tool is a favorite of celebs like Miranda Kerr and Molly Sims). Another at-home option, ZIIP® ($495) takes the at-home facial one step further by connecting to an app. In the app, you you can select your desired treatment, which is communicated wirelessly to the device. Voila! A customized microcurrent facial at the touch of a button. According to Peterson, anyone whose skin is saggy, wrinkled, or puffy around the jawline could benefit from microcurrent applied at the jaw area. Try incorporating it into your regimen at least five times a week for three months to see results. While most of us know facelifts are an option to help lift sagging skin, they are often quite costly and require lots of downtime. Ultherapy — a non-invasive, in-office treatment — is a great alternative, and relies on high-intensity ultrasound to counteract said sag. Specifically, the ultrasound wave penetrates deeply into the skin and trigger inflammation. As a result, your body’s natural healing response kicks in; this healing response includes stimulating new collagen, Shah explains. The result: “lifted, tighter skin.” That’s why ultherapy is an excellent treatment for banishing moderate jowls. Better yet, most people only require a single session, and there’s no downtime. But as with any medical procedure, be sure to wait a week or so before a big event, as redness and swelling are possible side effects — though there is technically no downtime. Another caveat: because your body needs time to work on that collagen production, it takes around six months for visible effects to show. After the initial treatment, Shah notes that possible touch-up treatments may be needed, depending on your individual aging process. If a clingy fat pocket (also known as a double chin) is the culprit behind a less-than-svelte profile, freezing the underlying fat cells — which can nix the treated cells for good — is one of the most comfortable, reliable solutions. “Fat freezing is a noninvasive, in-office procedure that can reduce the fullness of the chin in 1-2 sessions,” says NYC-based board-certified plastic surgeon, Dr. Douglas Senderoff. Fat freezing may sound like something out of a sci-fi movie, but it has been proven to deliver real-life results. Here’s how it works: A technician places a fitted applicator of the fat-freezing machine directly on the trouble spot which delivers controlled cooling to target the underlying fat cells. Once targeted, the fat cells literally freeze to death. In the case of a double chin, “the treatment is quick and easy; within as little as a few weeks, the double chin will begin to disappear,” Dr. Gause asserts. And once you’ve frozen those fat cells, they’re not coming back — so you can say sayonara to that double chin! Once the fat cells are killed, they’re eliminated in the same way you eliminate everything else (i.e. by way of the toilet). While fat freezing is not an invasive procedure, it does come with its own set of risks — including common side effects such as potential numbness and tingling that can last for weeks post-treatment. Want to chat about fat freezing? Our trained aesthetic specialists are here to help! Get real aesthetic answers, right now from our trained aesthetic specialists! Alternatively, you can heat things up, thanks to a treatment called EmbraceRF, which combines radiofrequency and fat remodeling. According to NYC-based plastic surgeon, Dr. Spero Theodorou, the first step entails using targeted radiofrequency assisted lipolysis, which tightens skin. Next, your doc will use a newly-approved subdermal adipose-remodeling device — the official name for a little probe that enters the skin and shifts the fat around, molding it into a strategic, more flattering position. Since there’s a little bit of invasiveness involved, this treatment often entails a couple of days of downtime, so be sure to factor that in. Results tend to last from three to five years, at which point your skin will age naturally.